Meg Kearney, director of the not-so-far-away low-residency MFA program at Pine Manor College (just outside Boston), reminded me last week that her program has a deadline of November 14 -- time to print those application forms and get things rolling if the winter semester appeals to you. There's no doubt that the resources of a good MFA program, including the connections you build with staff and fellow students, can help with maturing and publication of good work. (It's probably in proportion to whatyou invest of yourself, natch.) At any rate, the four concentration fields at PMC have a lot to offer -- and so do faculty members like poets Laure-Anne Bosselaar, Kathleen Aguero, Terrance Hayes, and Dzvinia Orlowsky; mystery novelist Dennis Lehane; children's author Laban Carrick Hill; and more. The ethnic diversity of the group is an extra plus. The Solstice Low-Residency MFA in Creative Writing Program of Pine Manor College (www.pmc.edu/mfa) is now accepting applications for the winter residency/spring 2008 semester, with a deadline of November 14, 2007. We offer concentrations in fiction, poetry, creative nonfiction, and writing for children & young adults. 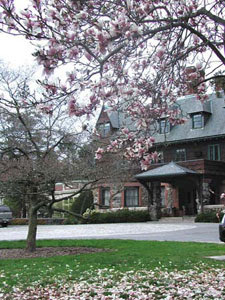 Situated on sixty bucolic acres in Chestnut Hill, Massachusetts, Pine Manor has a unique mission: to create the most diverse undergraduate and graduate student bodies in the country. Pine Manor’s undergraduate program was ranked #1 in diversity from 2003-2007 by U.S. News & World Report, and we boast one of the most (if not the most) diverse MFA faculties in the country. Designed for writers wishing to pursue their writing goals while balancing the demands of work and family, the Solstice MFA in Creative Writing Program offers affordable tuition, small classes, and one-to-one mentoring in a friendly and non-hierarchical environment. For more information, visit www.pmc.edu/mfa, e-mail mfa@pmc.edu or call the Solstice MFA Office at Pine Manor College: (617) 731-7697. Autumn's here -- and that means it's time for the new Archer Mayor/Joe Gunther police procedural. Hurrrah! It’s easy to confuse an author’s life with the life of his or her fictional creation. And sure, Mayor, like his Brattleboro cop character Joe Gunther, loves police work (on the side), likes to visit with his mom when he can get time, and knows what it’s like to go through a romantic disappointment and then rediscover true love. But Gunther is a collage of people Mayor has known – he’s not a clone of the author. And when things work out for him in the plot of the latest book, it’s not necessarily a reflection of what’s going on in Mayor’s own life. Still, I’ve got to guess that the cheerful good news that keeps erupting in this author’s life – great reviews in national papers, a new “steady” sweetheart, and a deal that’s bringing his out-of-print early work back into active paperback sales – is affecting his writing. Because his new police procedural, “Chat,” is a smooth, tight, thoroughly enjoyable read that affectionately brings back nearly all of the strong characters that populated the preceding 17 Gunther books. For instance, Gunther’s mother and brother Leo show up at the start, and battle the nasty side effects of Joe’s long career of capturing criminals in his own backyard. His “ex,” politico Gail Zigman, finds a new role on the sidelines, as possibilities of a new and much-liked lady friend emerge for Joe. And those crazy sidekicks Sammie Martens and Willie Kunkle cuss out each other gently, turn their fierceness on the criminals, and provide the backup that Joe’s leadership of the Vermont Bureau of Investigation, the VBI, demands of them. With all those great interactions packed in, “Chat” was destined to be a good novel. But a tight police procedural demands more than that. There has to be a truly nasty streak of crime; a convincing threat of violence, preferably life-threatening; and the red herrings along the way need to blend into the structure, keeping the reader from guessing the crime solution too soon but without being silly. And Mayor has nailed it in this 300-plus-page sequel that uncovers the ragged filthy edge of Internet community. “Chat” of course refers to “chat rooms,” those anonymous pick-up bars of cyberspace where anyone can lie, lure, and lust. Intersecting pages of chat-room dialogue build with the police plot to an edgy and shocking crescendo – which, not surprisingly for Mayor, also depends on the conflicts among Vermont policing forces and the ability of well-meaning humans to draw all the efforts into effective law enforcement after all. Of course, it has. Just as the scraps of Internet chat build toward a dirty and not so little secret, the big tragedies of life in Joe’s world also flare and flame. People around him who have suffered as “victims” aren’t going to take it gently. Joe and his family – that is, the people he’s related to, plus the people he cares about at work – come under threat. Mayor’s and Joe’s ways of working through the darkness build to a flawless and satisfying end that lays the groundwork for sequels to come. So if that’s the result of a happy and satisfied author, forget about the tormented stereotypes. “Chat” is a winner. I’ve already read my copy twice. Look for the book in the shops on October 25. But if you'd like a chance to talk it over with Archer Mayor a few days before that, consider signing up for the great 2007 Kingdom Books Limited Edition Author Dinner with Mayor on Monday October 22. He'll be here at the shop -- and so will a modest stack of fresh new first editions of CHAT. See our web site (www.kingdombks.com) for details. Whew! First the Jewish holidays swept through all schedules here, followed by an unbelievable surge of editing assignments, topped off by a massive set of thunderstorms this week that knocked out our power and then our Internet service. It feels GREAT to be coming back toward normal (or at least, as much so as Kingdom Books ever aspires to reach). If your calendar allows, this weekend is the one to tag for the Brattleboo Literary Festival (http://www.brattleboroliteraryfestival.org). It launches tonight with Augusten Burroughs (Running With Scissors) and Haven Kimmel (A Girl Named Zippy), but the poetry doesn't start until Galway Kinnell's reading Saturday morning at 11 in the Centre Congregational Church. After this week's scenes, I've been thinking of his epic work "The Fundamental Project of Technology" -- but he's actually more likely to read from STRONG IS YOUR HOLD, his latest collection. It's a great opportunity to hear this magnificent Pulitzer Prize-winning poet offer the tenderness, gentle humor, and wisdom of these meticulously crafted late-life poems. Bosselaar has treasured US Poet Laureate Charles Simic's teaching; Dudley offers the passion and freedom of a wild-woman-grown-deep; and Rhodes, whose schedule as editor/publisher at Four Way Books doesn't allow her on the road all that often, is a treasure to hear. Her latest work tackles the emotions around her mother's illness. 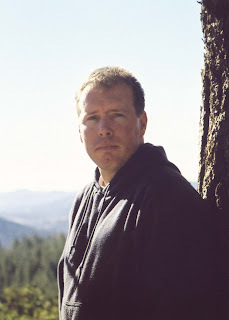 Kurt Brown has published four collections of poetry: Return of the Prodigals, More Things in Heaven and Earth, Future Ship, and Fables from the Ark, which won the 2003 Custom Words Prize. He was the founding director of the Aspen Writer’s Conference 30 years ago, and was recently the Bruce McEver Visiting Chair in Writing at Georgia Tech in Atlanta. No authors of mystery at the festival this year -- but tomorrow I'll be posting a review of Archer Mayor's tightly plotted new police procedural, CHAT. Stay tuned. 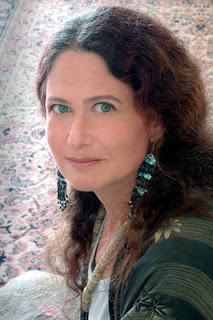 Jane Hirshfield visited Vermont this summer. She taught at the Vermont Studio Center and provided a reading for a packed crowd in St. Johnsbury, at the Athenaeum. Her presentation, threaded with both Zen and passion (they are not, in fact, incompatible), brought her a steady stream afterward of people who wanted to thank her, to purchase books of her poetry, and to confirm the sense of quiet connection they had found in her work. Hirshfield spent much of the rest of her stay in Bellagio writing in an outbuilding, a place that didn't overwhelm her voice. The second poem she offered in St. Johnsbury was "For What Binds Us." She said, "I never know whether to call it a love poem or an end-of-love poem -- it's both." If you're already a Hirshfield reader, just naming the poem is like touching a feather to the back of your hand, or neck. The sense of the poem stays with you, just barely beyond vision or scent. Hirshfield uses the line breaks in the poem to turn simple words into the life-questions that need to be asked and pondered. Her summer evening also included a set of new poems, some barely beginning to be spoken, as well as a sequence from her 2006 collection AFTER (which went into softcover this year). Vermont's resonance for Hirshfield includes a poignant moment from an earlier visit, when two people came up to her afterward and asked for her signature on their copies of her books, explaining that they had driven all the way north from Maryland in order to hear and meet her, afraid this California poet would rarely be available on the East Coast -- they wanted SO much to attend her reading. So Hirshfield this time was also reassuring people that she'd be "here" in the future, as she has been before. One of the rare shining poets who finds she can sustain her life without academic ties -- she works very hard to take part in many workshops, readings, and other events, including benefits -- Hirshfield is open to the winds of change and travel. To check on more events later, and to read more about Hirshfield, check her page on her agent's site -- click here. Brian Turner earned his writing credentials -- an MFA -- then enlisted in the US armed forces. Touring in Bosnia-Herzegovina, then in Iraq, he vividly painted the grit and heartbeat of his experiences into the poems of his award-winning collection, HERE, BULLET. He'll be in Vermont in October: Kingdom Books is hosting his events in the Northeast Kingdom on Thursday October 25. We'll provide a schedule later. Meanwhile, to see his PBS presentation (yes, he's been on public radio and public TV), click here.